Disclosure: I received samples to facilitate this review. All opinions expressed are my own. With Grayson rapidly approaching 2 years old this June, I find myself thinking back to how Nia was still nursing at this age! Grayson's current favorite foods are a very short list: meatballs, milk, strawberries, cashews, french fries and crackers. Thankfully he's an avid smoothie drinker so that's how we get some veggies in him (he can drink his smoothie down faster than I can!). Thanks to Kidfresh we now have another way of getting him veggies: Totally Rockin' Tots in Russet Potato + Cauliflower and Yukon Gold + Yellow Squash. 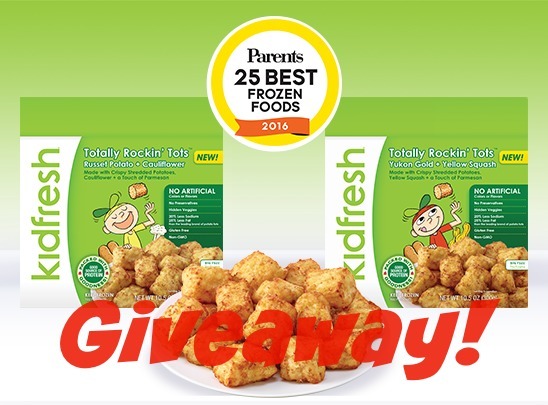 The good news is they were just voted as 25 Best Frozen Foods for Families by Parents Magazine and like everything else from Kidresh there are no artificial flavors or colors, no preservatives and no GMO ingredients. Also, both flavors have RBST free parmesan cheese and cage free egg whites. 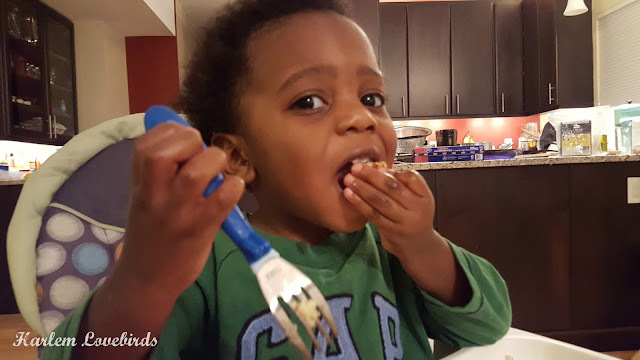 While I mentioned Grayson's egg allergy in my last post, since there are no yolks it appears that he doesn't have a reaction to the Totally Rockin' Tots. I like that Totally Rockin' Tots are a quick, healthy alternative to traditional French fries and a tasty compliment to whichever protein we're having. We baked our Rockin' Tots in the oven at 400 degrees for about 12 minutes since we like ours a little extra toasty than what the original instructions called for. Nia was a fan too, but she asked to have hers with ketchup. As an adult side dish, I was impressed by their flavor - definitely a culinary step up from traditional tater tots! 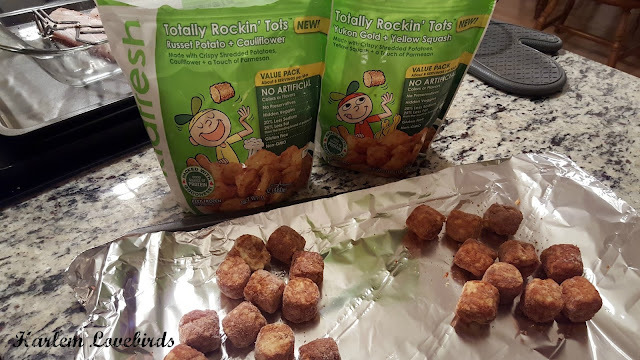 Totally Rockin' Tots come in a resealable bag and it's so easy to throw a few on a baking sheet. Beyond a side dish they also make a filling snack, and I could see incorporating these into a breakfast bake casserole as well. Our family has been Kidfresh fans for years, we enjoy trying their latest products and we think your family would too! 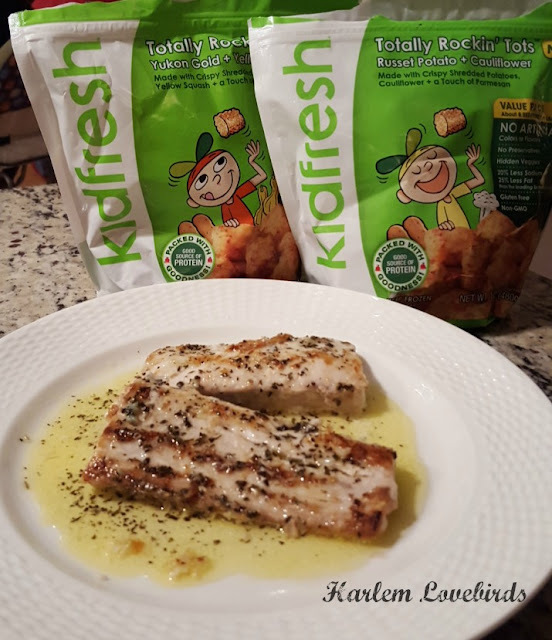 I'm giving away two lucky readers a coupon prize pack of 10 Kidfresh coupons including 5-free meal coupons and 5-$1 off coupons. 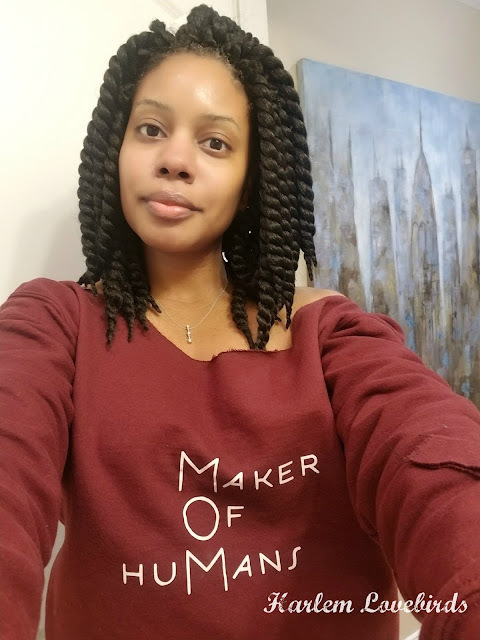 The giveaway starts today Wednesday, March 9 and ends this Sunday, March 13 at midnight with the winner announced on Monday, March 14 (open to U.S. residents, adults 18+ only). To find Kidresh near you visit their website and be sure to follow on Twitter, Facebook, Instagram and Pinterest for the latest product news.